Yes, it's September, and that means I go down to Anime Weekend Atlanta and spend three days immersed in that sea of costumers, anime fanatics, lost children, hucksters, and confused parents known as an "anime convention". Lots of great stuff happening this year - star voice talent, cybernetic musical acts, key video game designers, and me! What am I up to? 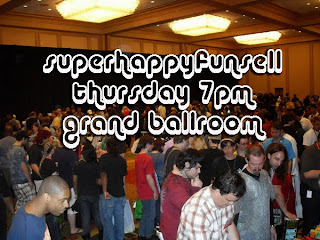 Thursday night at 7 - before the convention even starts, really - we host a yard-sale garage-sale swap-meet event we like to call the "SuperHappyFunSell". 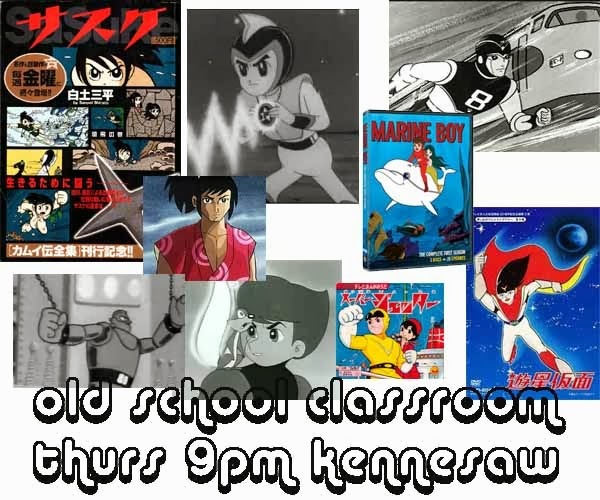 Then at 9 I take whoever's still hanging around on a fun trip through the world of TCJ, the studio that brought us Gigantor, Eighth Man, Prince Planet, and Kamui, and is still going strong as Eiken! 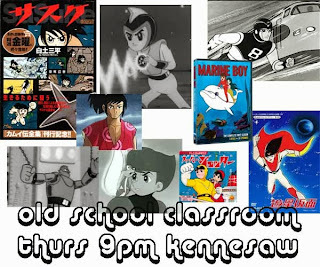 On Friday at 3:30pm I've been dragooned into the Mega 80s Panel where we'll talk about what it was like to be an anime fan in the 80s! This will contain substandard fan art, so look out. Then at 10pm it is time for all of us to go to hell. 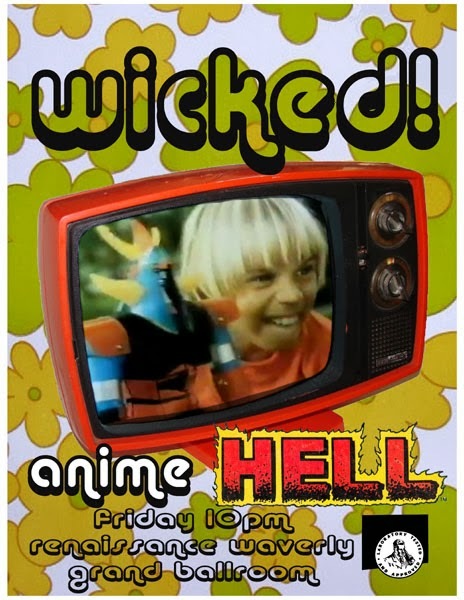 Anime Hell, that is! 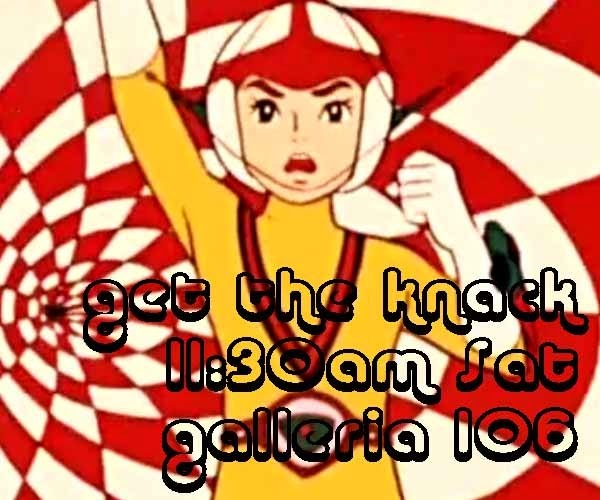 On Saturday at 11:30 I will be exploring the world of Knack, the studio responsible for Ninja The Wonder Boy, Chargeman Ken, Cybot "Robby The Rascal" Robotchi, and more (or less)! 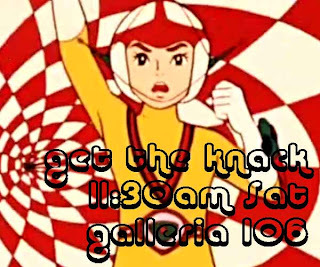 Then on Sunday at 11am I'll be joining reps from the various Atlanta anime conventions and from anime cons around the country and beyond to discuss matters of vital importance to the furtherance of our goals. And gossip. And at 3 Neil Nadelman, Elizabeth Christian Smith and myself will be discussing what anime we'd take with us to keep us sane if we were trapped on a desert island! That will pretty much take us up until the end of the convention, at which point it's time to pack everything away and see ya next year. If you're in the Atlanta area I highly suggest you drop by, it's gonna be a great show! 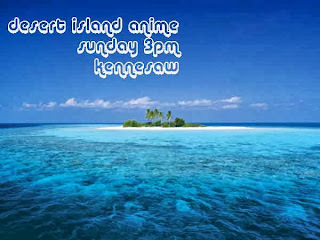 You can find a full schedule for AWA here!